Top ranked UKBJJA junior athlete Dali Hopkins is on her way to America to fight her way to the top of the podium in the Pan Kids Jiu-Jitsu IBJJF Championship this weekend. 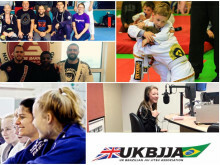 Dali Hopkins became the star of the BJJ kids scene within the UK and Europe last year, becoming the top ranked UKBJJA junior across all belts, ages and weights. Also champion of the Welsh Kids BJJ League, the young athlete is now on her way to California to compete in the biggest junior BJJ competition in the world this year. 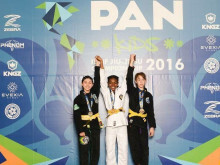 The 11-year-old, who fights in the -52kg weight category at grey belt, fought in the prestigious competition last year. Winning her first fight by armbar and her second on points, this was a tremendous achievement and she took home the gold medal. Commenting on the upcoming event, Dali said: “I am making this trip to experience competing on a larger platform and grow as an athlete, aswell as travelling the world”. 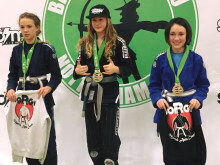 Dali trains at The Combat Academy Hereford under coach Dewi Coles and has been working on both her BJJ and her strength and conditioning in the run up to the momentous competition. 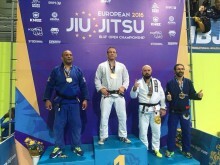 European and British champion of 2015, she said: “I have been training Jiu-Jitsu five times a week and traveling to Swansea once or twice a week to subsidise training when classes aren't on in Hereford at my home club. I have been to GB Birmingham, taking part in both junior and adult classes. I have also had strength and conditioning sessions at Point4 gym once or twice a week”. 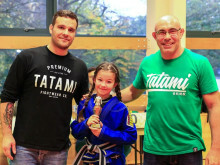 Following the news of her success as the UKBJJA top ranked junior overall, Dali was rewarded with a free BJJ gi, free entry to all UKBJJA ranked events in 2016 and a fund of £300 from the UKBJJA to attend international competitions. Dali receives recognition for her hard work with support from sponsors Tatami Fightwear, Point4 and local companies Jmart, S & T Roofing Ltd, Seating Contracts and Hereford Carpets. 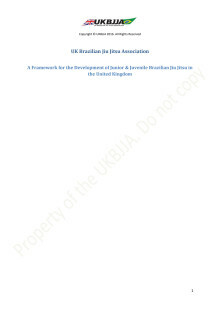 She is also part of the UK BJJ Youth Team, a non-UKBJJA private initiative which arranges regular training sessions for juniors. Dali will be alongside 27 other youth team members supporting each other on the day. Hereford born and raised, she said: “I love BJJ because I like meeting new people and have made lots of friends that I can play fight with. 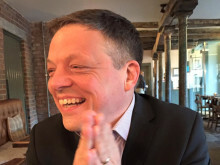 It's so fun and I would love to do it full time”. When asked whether she looks up to anyone within the sport, Dali replied: “I met Vanessa English when I first started and have followed her ever since. A.J Agazarm was great at Polaris too”. Mother Kelly Hopkins said: “Every mother is proud of their children, that goes without saying, but Dali inspires me daily with her drive and determination. She is the reason I compete, I draw my courage from her”. Dali will take to the mats at the Pan Kids Jiu-Jitsu Championship this Sunday, facing a category of four young girls, each ready to battle it out to bring home the gold.